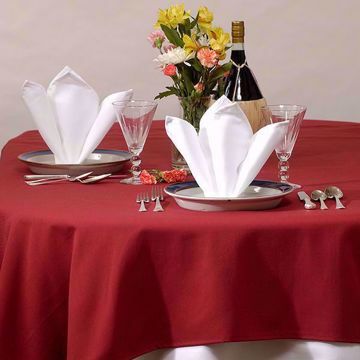 Dynasty Table Linen | Wholesale Clearance Tablecloths | HY Supplies Inc.
ON CLOSEOUTS!! Superior Color Retention, Resistance to Shrinkage, Pilling, linting & Snagging Table Cloths in 100% Murata Jet Spun Polyester, Sold in Casepack, No return, No refund in any reason. Available in bulk at a cheap price in various sizes, weights, and colors direct from the manufacturer with minor damages.